Any contributions made to the superannuation with which you claim a tax deduction is again subject to super contributions tax. Concessional Contributions include employer contribution, salary sacrifice as well as personal deductible contributions. In certain cases, the tax on concessional contributions skyrockets to 30%. It is best to consider this factor while making contributions to super which you intend to claim later on. Usually, the concessional contributions tax rate is at 15% flat. Let’s assume, you are an employee with the salary $60,000 per annum and your employer contributes SG (Superannuation Guarantee) at the required rate of 9.25%, then they would have to contribute the amount $5,700 into your super besides your usual salary that goes into your personal account. From the above $5,700 only $4,845 would be paid into your super due to the 15% tax. This is due to Concessional Contributions tax which is claimed by your employer as a tax deduction. If you are self-employed and currently earning $60,000 per annum, you do not receive the employer contributions. Nevertheless, you can decide what contributions you can make to the super account. If you would like to make personal deductible contributions, it will fall under concessional contributions which would incur contributions tax. 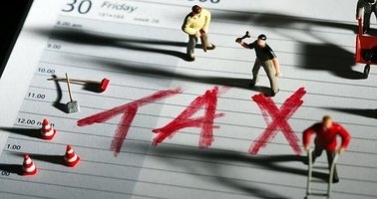 Here’s an insight into who will get 30% taxed and when. Basically, Division 293 is a new tax introduced in 2012-2013 fiscal year. Let’s take an example of an average income earner and a high income earner. On seeing this disparity, the government introduced Division 293 applicable for income earners over $300,000 per annum. An additional 15% tax is added to the original 15% making it 30%. As of July 2017, this cap will be reduced to $250,000. For more details about Superannuation and the related contributions, call on us at +61 3 9034 9709.